Andrew Maher is an Australian sporting media favourite with a resume of work in television, radio and print. Andrew’s incredible knowledge of sport and ability to recall sporting stories and events makes him a highly-entertaining and engaging guest speaker and MC. Maher began calling Marcellin College’s football games from the sidelines and has developed a career spanning over 25 years. A versatile media personality, Maher has served as the host of Channel Ten’s popular AFL panel show Before the Game, hosted international cricket and golf tournaments. Maher has worked full-time in the football media since the late 1980s when he joined the newspaper Inside Football as a writer. He became the assistant editor in the late 1990’s before joining production company Vuecast (now AFL Films), a company contracted to supply content for the fledgling Optus Vision. In 2001 Maher moved to a boundary riding role with Channel Seven’s football broadcast as well as producing the networks panel show Talking Footy. A move to Channel Ten has seen Maher a part of production of the network’s award-winning AFL coverage and on-screen roles on Before the Game and The 5th Quarter. 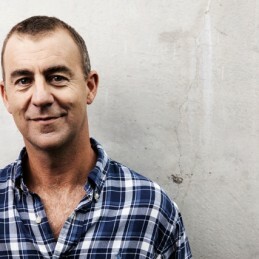 Maher has also been a long-time host of Melbourne radio SEN 1116’s breakfast radio show Morning Glory. His approachable personality, knowledge of all things sport and ability to recall sporting details has made him in high-demand as a host, MC or keynote speaker for corporate and sporting events.